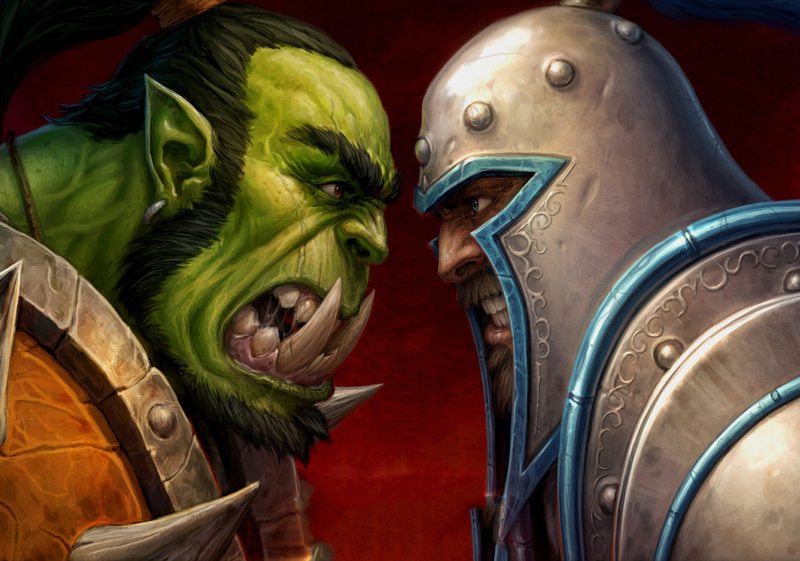 In our interview with Heroes of the Storm game designer Jade Martin, we learn what makes Machines of War such a special update and what the chances would be for Warcraft's Peon to become a Hero. Heroes of the Storm received a rather large update when its Machines of War update launched last week. The first portion of the update includes a new Hero, Alarak, the new Braxis Holdout two-lane Battleground, and a special StarCraft-themed event, Xel’naga Artifact Hunter. For the Machines of War update, we were given the opportunity to interview Heroes of the Storm’s game designer, Jade Martin, on the game’s past, present, and future. 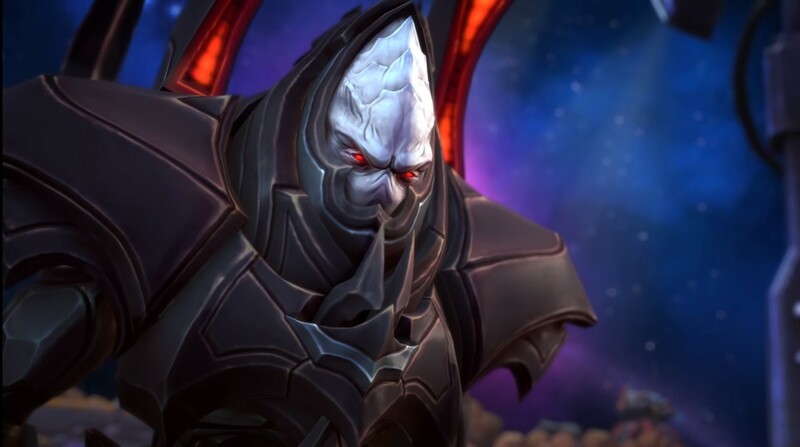 During our chat with Martin, we learned what makes Alarak such a special Hero, fan reaction to Zarya’s inclusion, and what the chances are for Activision properties to be included. Shacknews: We've seen a number of StarCraft Heroes sprinkled into Heroes of the Storm over the past several months. What makes Alarak such a special Hero in comparison? Jade Martin, game designer: Aside from being completely awesome, Alarak brings a pretty unique kit to Heroes of the Storm. He has a baseline Silence with his [Q] Discord Strike on a relatively short cooldown and his [W] Telekinesis allows him to manipulate the battlefield by pushing enemies toward a location of his choosing (even into his Discord Strike). The cool thing about his [W] Telekinesis is it uses a completely new targeting mechanic that we refer to as Vector Targeting, this allows the player to "draw" the direction of the skillshot allowing for more precise movement. Alarak being the bad dude that he is also is the first hero that has the ability to unlock two heroics! He has the choice of one at level 10 and unlocking the other at 20, talk about sweet! Shacknews: Speaking of Heroes, HotS celebrated its 50th Hero this past Spring with the release of Dehaka. Do you plan on celebrating additional Hero milestones? Any idea on who the 100th Hero may end up being? Jade Martin: Anytime we can celebrate hero milestones is such a cool experience especially looking back at the original hero roster and where we are now. From my perspective I would absolutely love to celebrate those other big milestones like the 100th hero. That said, the 100th hero is so far in the future I don't think we've given much consideration to who that hero is, but when the time comes I am sure it will be awesome. Shacknews: World of Warcraft: Legion recently launched. Are there any plans to include content from that expansion to Heroes of the Storm? Jade Martin: It's always fun when we can run special events for a specific franchise and I’d love to see one for World of Warcraft in the future. However for the time being we are definitely focused on the current StarCraft-themed event, Machines of War, with the new battlegrounds Braxis Holdout and Warhead Junction. Shacknews: We were surprised to hear Zarya would be the next Overwatch Hero to make her way into the Nexus, especially when Reinhardt seems to be a perfect candidate for HotS. Did you receive any notable feedback from the Blizzard community regarding her addition? Jade Martin: It's always hard when choosing Overwatch heroes because everyone has their favorites and as we learned with Tracer their kits really translate well into the Nexus. I think it'd be fun to do Reinhardt in the future, but I’m really excited to see Zarya in Heroes of the Storm. Her kit is quite unique to the Warrior role as she is quite the hybrid of Warrior and Support. 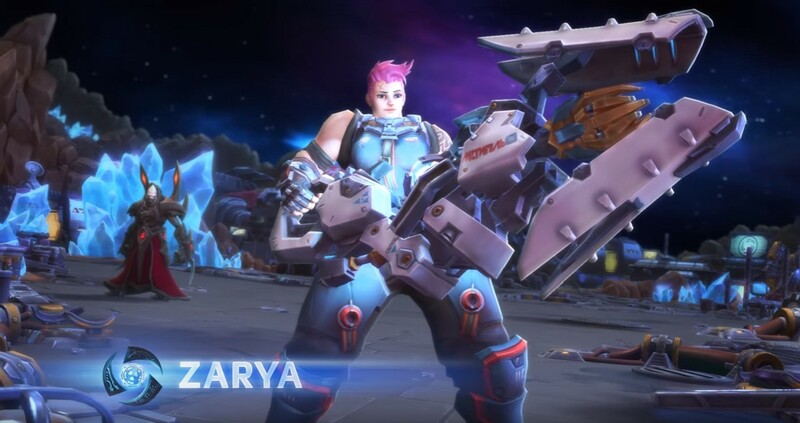 I had a chance to read through quite a bit of the community feedback when we announced Zarya and I watched her being played at Gamescom. I'd say the community overall seemed really positive about her coming into the nexus. Shacknews: It seems like your team follows the beat of its own drum in regards to new Hero additions. Do you take any feedback from players as to who should be added to the Nexus in follow-up patches? Jade Martin: Absolutely, we have a huge Excel list of potential future heroes that we have come up with based on both internal and external feedback. We have so many great heroes from the Blizzard universes that it can be really hard to choose! Shacknews: What's the average amount players spend on Heroes of the Storm? Jade Martin: In all honesty, I have no idea. This isn't something our development team focuses on. Our goal is to create a fun and dynamic gameplay experience with the new content we bring into the Nexus like our Heroes and Battlegrounds. Shacknews: Any chance there will be an original Warcraft themed map or content, like giving the Peon or Peasant a chance to finally become a Hero? Jade Martin: Hah! I love the idea of the lowly Peon in the Nexus, now a hero, replying "work, work" when issuing his commands. The great thing about working on Heroes of the Storm is nothing ever seems off limits, all we need is the time. I'd say the same thing about a Warcraft themed battleground, it'd be fun. Shacknews: There's only so much content from Blizzard's games that can be added to Heroes of the Storm. Any chance we could ever see the game dip into Activision's stable of games? Jade Martin: Luckily we have a huge list of heroes from Blizzard universe that could easily take us 5+ years to get through, but at the moment there are no plans for pulling from Activision’s stable of games. Shacknews: There are over 50 Heroes now in Heroes of the Storm. Is there any particular addition your team is proud of? Any you feel you could have done better? Jade Martin: I really am proud of our team anytime we release a hero. The amount of work that goes into creating a hero is such a huge undertaking and there are so many people involved by the time it ships - it’s astonishing! A single hero will see work done by a Hero Designer, Tech Designer, Balance Designer, Engineers, Concept Artists, Animators, FX Artist, UI Designers, Sound Designers, QA, Cinematics, and other teams I’m probably forgetting to mention (sorry!). By the time the whole process is over that single hero has been in development for 6+ months. To further expand on your question, as a Hero Designer, I think there are always things in hindsight I wish I would have done differently on a hero. It could be as small as a talent or as large as a heroic ability, but that truly is the life of a designer, if given the opportunity I think I could work on a single hero for life. There is always something I feel I could change to make it "just right". Heroes of the Storm is currently available for PC and Mac with its latest update, Machines of War, available now. We're also giving away 10 codes for Heroes of the Storm's Machines of War content right here! Shacknews would like to thank Jade Martin for taking the time to answer our questions. I just wish I had more time to play, but I'm definitely a fan of the game.